Remember how I just posted about making “mommy” friends? One of the ways I’ve made some great friends is through my local Twins/Multiples Club. I’ve been a member for 2 years now. I really love being a part of it. It’s a great group of smart, funny women who also happen to be Moms of Multiples. If you’re not a mother of multiples, you might wonder what happens at these meetings. We meet once a month and to start, we have a social half hour before the meeting to just catch up and chat. Then, we go over both old and new club business. We have two annual rummage sales, we have a Fall, Spring, and Summer Party for families, and we also do some outreach in our community. This last year we made a bunch of tie Lovies/Blankets for all the sets of twins born at our local hospital (which is also where we hold our meetings.) We made 37 sets! In the past we’ve made book bundles for new moms of multiples, and went to a local bookstore to read books and answer questions about twins. We also have Moms Night Out, play dates for the kids, and are really there to support each other. Having multiples is a unique experience, and it’s nice to be able to talk to other women who know exactly what you’re going through. 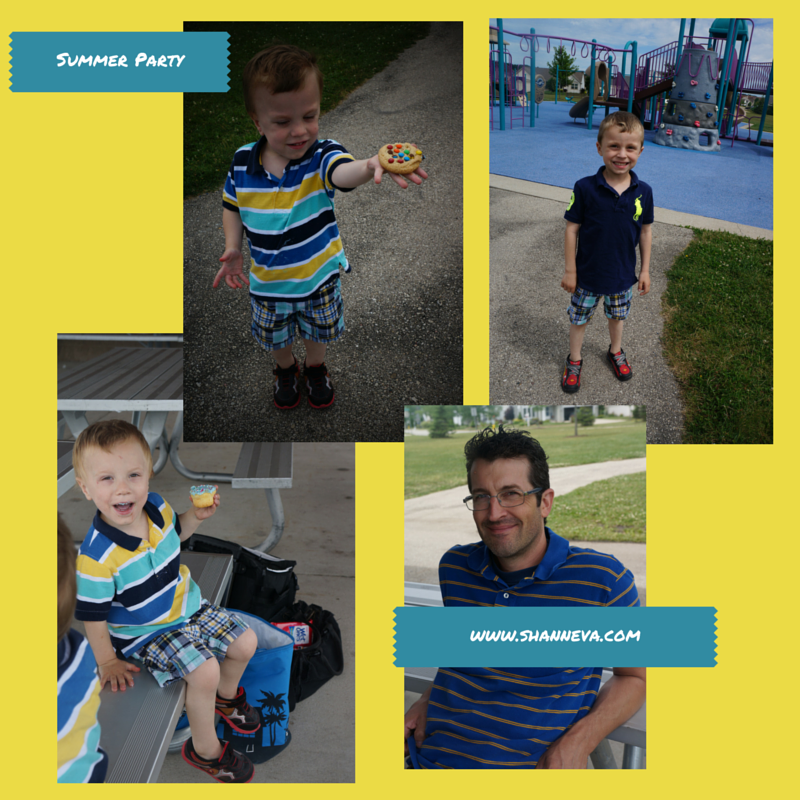 We’re having a little break in the action right now because we don’t have formal meetings over the summer, but we did have our Summer Party this last weekend. We met at a park so the kids could run around, and then we all had lunch together. Everyone brought a dish to share, and it was a really great afternoon. Obviously, the twins’ highlight was the cupcakes and cookies, while my older son had fun running around the playground. I’m really excited about getting started again this Fall with our Club because I will be taking more of a leadership role. I’m ready to get more involved, get us out in the community more, and have some fun. Speaking of fun, I thought I would share my post from 2 years ago when I attended my first meeting. I went to my first “Mothers of Multiples” meeting the other Friday night. I was a little nervous and anxious…for a couple different reasons. First, I’m not that great at meeting new people. I can be a little quiet, and sometimes people mistake that for being snotty or uninterested. Nope, just shy. Second, the meeting was taking place at a hospital. The very same hospital that I gave birth to my first son at (good memories) and the very same hospital that I saw the specialist who advised me to selectively reduce my pregnancy with the twins (Very BAD memories.) So, I get a little queasy even at the thought of that place. When we got to the meeting room, there were only 3 other woman there. No one really said much, except to sit down and write your name on a card. A few more woman trickled in, and some seemed to know each other from previous meetings. Then a couple pregnant woman came in. One said she already had a set of twins, and this was her second set. My husband would have passed out right then and there. Finally, it looked as though everyone was there. Everyone went around and was supposed to say a highlight of their summer and a little about themselves. One woman’s highlight was her twins coming off oxygen (Bonding moment #2) Her twins had been born around 26 weeks and spent a long time in NICU too. The woman after her, the one on her second set of twins, mentioned her twins were born at 28 weeks and also came home on oxygen. The woman next to me mentioned her twins were born at 27 weeks. Even though their twins were fraternal and didn’t have the same complications, premature birth and the NICU experience is definitely something I can relate too. I was not happy that they had to experience it, but I was happy that I had some women who would understand if I couldn’t make events during cold/flu season or wouldn’t look at me funny if my kids weren’t walking/talking yet. I breathed a sigh of relief, and relaxed through the rest of the meeting…even during my turn to speak about my twins. I will definitely be attending more meetings in the future, and hopefully some family events too. I’m even hoping that maybe I can help with education and awareness in the community. What a wonderful and supportive group. I am always so awed by the communities people create in order to support themselves. My mother was in many groups for parents of disabled children. She has met so many wonderful parents and life long friends. I am so happy to hear that you too were able to accomplish meeting such a great group of people. It’s so great that you could form such strong bonds with the moms there. What a blessing that is! 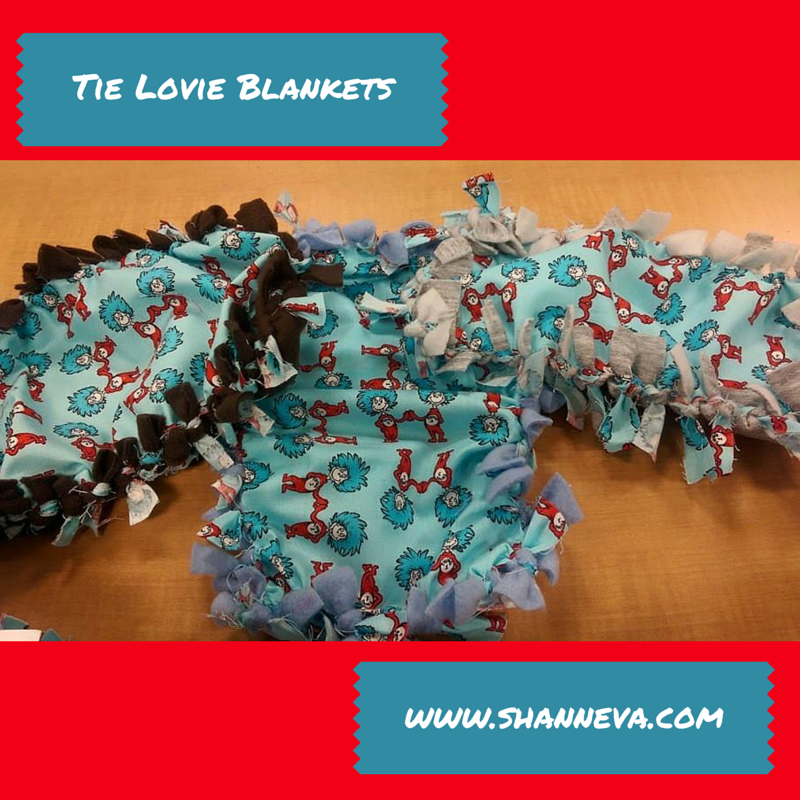 Love those lovie blankets! So so so cute! That’s so great you were able to find a group of moms you have befriended. I’ve always had a difficult time making friends with other parents. Mostly because I was 17 when my daughter was born. It’s good to have support though! Aw, it sounds like a great group! It’s always good to have a support system like that. What a great way to meet other moms! I love that you found this club! Yay! My friend just had twins and loves her MOM group – good luck! What a great club! You guys do such great things. I want to join, sadly I have singletons. When we moved to Texas, I joined a moms group via meet up. It was the best decision I made. I made friends instantly and many turned into some of the closest friends I have today. Love that you’ve found that in your group too! Sounds like you found a great group! I was in an online moms group, way back when AOL was popular lol and I am still friends with a few of the moms now on Facebook….almost 14 years later. Shann, This group sounds like so much fun. I love the things you have made, and all of the activities you gals are doing. Wow, they must keep you busy! 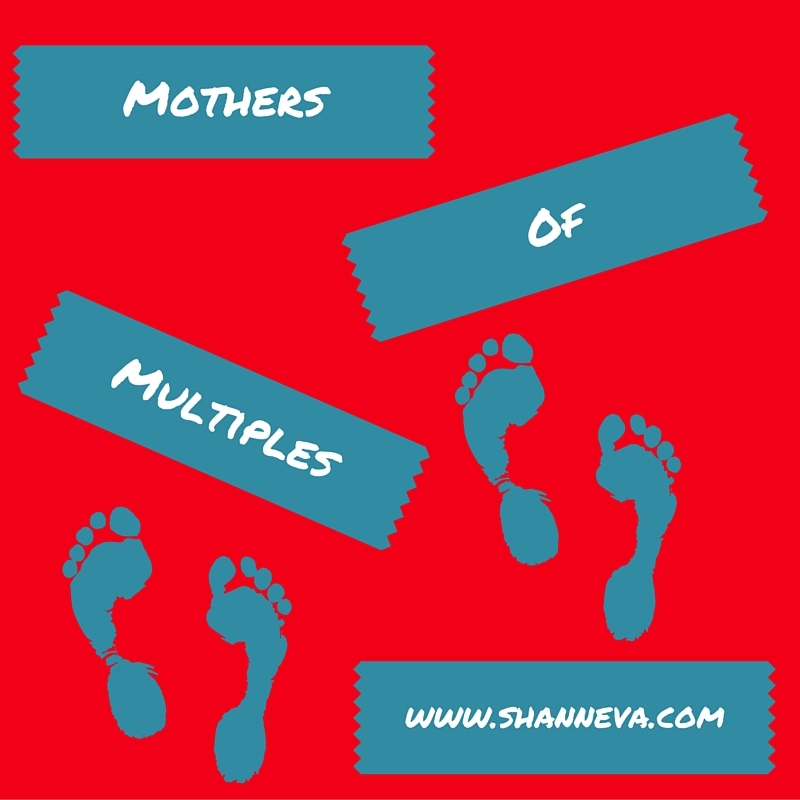 I am in awe of all mothers of Multiples. I have my hands full with my 3 kids and they are each 2 years apart. Love the blankets! Awwwww lucky you for finding a real Life group of mommies!!!! I’m kinda jealous… I’m like 10 years older than all the moms around here since its apparently cool to get preggo when you’re a teenager, so mommy play dates are always so awkward and I’m not even technically that old lol…. What a great way to find some Amazing support!! I don’t know how you do it… Bless you!! That is awesome you have such a great real-life support group. I had to settle for a virtual one but through pregnancies, births and beyond we have grown very close. Virtual support is really great too! Sounds like a great group! 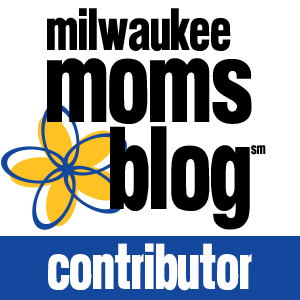 I love connecting with other moms – and it’s great to find ones in a similar situation as you! It is amazing that communities like this exist, sometimes people can really surprise you by how kind they are. Love the pretty blankets. This sounds like an awesome group. It’s always nice to connect with other moms and share you experiences with each other. Have fun! Getting support from other moms is awesome. This sounds like a nice group. It’s so cute that you guys made blankets for all the twins! I can’t wait to see what other projects your group does. Those blankets are so super cute! What a great supportive group! I don’t know how you mama’s of multiples do it! What a fantastic club! My wife is a part of a MOPS group and loves it. Thanks for hosting again. It’s one of my favorites!